There are few industries in the world that aren’t impacted at least slightly by the harsh elements of winter. 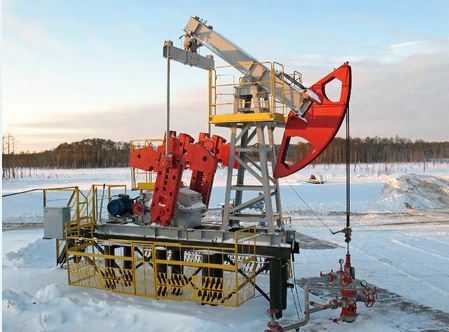 The snow, ice and below zero temperatures can be a real burden to your employees during the frigid months, and that goes double for the equipment at your drilling rig site. Often times, poor insulation can lead to heat loss which can also result in elevated energy usage and added operating costs that you probably want to avoid. Of course, the amount of winterization needed depends on several factors, including your job site location, the type of heating that is used and your worst-case environmental conditions. As you might imagine, insulation can make a big difference for your enclosure performance. According to Parker Hannifin, insulated enclosures require one-sixth of the heating power as an uninsulated enclosures. That can be true at your project site, whether discussing an on-site operations office or the cab of your crane or other heavy equipment. Keeping warmth within your machinery serves two purposes. First, the perhaps most obvious, is the human element. For your crew to be able to work all day in subzero conditions, they need to have heat to make it through the day. The other aspect is your instrumentation. Extreme cold or the combination of cold and heat can cause equipment failures or condensation formation – which can introduce water to electronics. Insulating work areas whenever possible can help ensure the longevity of your men and machinery all through the tough, cold season. It’s also important to be especially vigilant during the winter months to stay on top of your routine maintenance schedule. This means changing vital machinery fluids exactly when needed, checking moving parts and connections regularly and monitoring ground conditions for fluctuations that can occur in heat and cold cycles. Winter presents a range of challenges, but being proactive and sure of your equipment and surroundings each day can help ensure a safe and effective operation. Ice, snow and cold naturally cause things to slow down – water becoming ice, for example as the molecules slow. Take a cure from nature and slow down a bit yourself. Work more carefully and cautiously in cold weather to help make sure that you don’t experience any sudden surprises from freezing equipment, black ice or a range of other conditions that you can find during the winter months. No matter what the season, it is essential that you have sturdy and trustworthy equipment, and you can get what you need at Rackers Equipment. For two decades, we have served businesses in Missouri and throughout the region, providing the machines that your company needs to complete any job. Take a look and shop our full equipment inventory online now or give us a call at 573-635-8700 today for help finding the right machines and equipment for your next project.